A final post from the Superbug blog, with sincere thanks to readers, colleagues and editors. A new report from Doctors Without Borders excoriates the international response to Ebola, and at the annual TED conference, Bill Gates outlines how to do better next time. 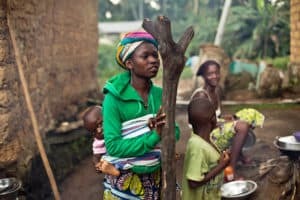 The social disruption and fear created by the Ebola epidemic in Africa may open the door to a second, larger epidemic, of measles. Fast food giant McDonald’s volunteers to buy only chicken raised without routine antibiotic use, a move likely to shake up both the food industry and agriculture. 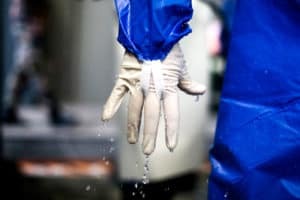 Health care workers who caught Ebola while treating its victims in the US and in Africa continue to struggle with poor health and the stigma of the disease. A factory farmer who let animal-welfare activists film inside his barns files for whistleblower protection so he can keep farming. A report from a front-line Ebola fighter working in Liberia shows how much remains to be done to beat the terrifying disease. A UK project that raised eyebrows last year with its dire estimate of how many deaths antibiotic resistance will cause returns with a recommendation for global investment in the problem.